Rita Altman, Senior Vice President of Memory Care services for Sunrise Senior Living in Pennsylvania, recently wrote for Huffington Post a list of recommendations on how to keep summertime activities safe and enjoyable for those living with memory loss, and how to achieve the best senior health during these hot months. Citing research suggesting that singing and playing music contributes to memory retention, Altman recommends playing “music from summers past” at family gatherings. And when it comes to physical activities, Rita says that those living with dementia can – and should – participate, but most activities will need a little tweaking. Inclusion in these activities is important for people living with memory loss. “The key is to make [them] feel engaged and successful,” she writes. This may mean that, instead of playing a full game of golf, consider switching to a putting green. Mental and physical challenges and stimulation are vital for those living with memory loss, since they help with oxygen flow and cognition. Rita also recommends gardening – an activity that isn’t too physically demanding and that anyone can enjoy. No summer in the United States feels complete without Fourth of July fireworks, but Altman warns that loud noises and big crowds can cause confusion and anxiety for those living with memory loss – so consider watching the fireworks from a distance or on television as an alternative. As long as you do it together, the tradition becomes a sustained and happy one. Family reunions tend to happen in the summer, but reunions – where remembering names and faces is a constant demand – can be very stressful for people suffering from dementia. Everyone should be prepared in advance to work together, and people living with Alzheimers should be open and honest when they can’t remember someone’s name. Also, find a good place to sit apart from the activity and rest – a break from the bustle can be necessary. 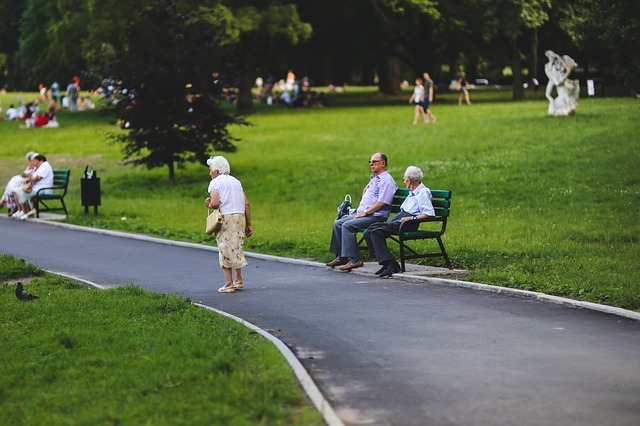 As a final precaution, Altman writes that the higher summer temperatures can cause dehydration – a warm-weather problem for everyone, especially seniors. Altman recommends educating yourself on the signs of dehydration and sipping water constantly throughout the day. While summertime activities may need a little altering – and some activities may need to be stopped altogether – it is vital to include everyone, including loved ones with dementia, because the positive effects of spending time together are boundless. Our wellness staff is ready to help you when you need it! Let us know how we can make your summer months easier.